Pity uncharismatic wildlife! So much easier to slaughter. We have here two books on creatures that get the short end of the representational stick most places around the world, meaning the stick is often applied to them. Bats are irrationally feared. They’re also pollinators (of wild bananas, agave, and much else), voracious insect devourers, and seed dispersers. You couldn’t ask for better “ecosystem services.” Personally, I despise the term “ecosystem services,” a product of reductionist thinking that defines every thing, and every non-thing (ideas, emotions), by their economic value. Bats are also pretty harmless to humans. Bat bites are quite rare, rabies likewise (of course, any mammal bite should be checked with medical professionals). There are no vampire bat species in the U.S. and are only a tiny fraction of bat species are blood-eaters anyway. Yet persecution remains common. Austin, Texas’s famed Congress Avenue Bridge colony of free-tailed bats only dates to the 1980s, and before Tuttle and others calmed the gibbering panic down, there was fear and paranoia galore; now there’s millions in tourist money to be made on the twilight spectacle as more than a million bats fly into the night to consume fifteen tons of insects. There are some 1300 species of bats in the world. That’s about 20% of all mammal species. They aren’t flying rodents: they’re more akin to flying simians, that is, more related to us than many other mammals. Some are tiny, easily hiding in a corner of a human hand; others, the “flying foxes,” have wingspans as long as six feet! As he details in The Secret Life of Bats, Merlin Tuttle has been a “bat man” since his teen years. 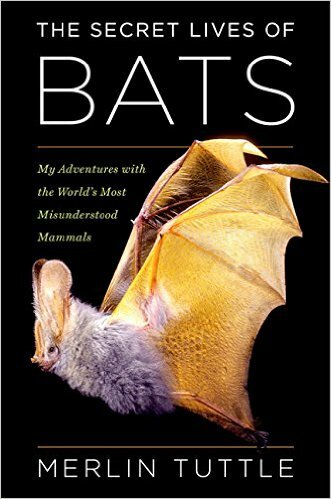 He helped set up Bat Conservation International and more recently his own non-profit to combat the fear, ignorance, and murderous responses of the fearfully ignorant when it comes to bats. The more people know about bats the more they like them. Tuttle was also a pioneer in bat photography. So I wish there were more and bigger photos in the book. These creatures are amazing to look at. The reputation of his National Geographic spreads got him out of some tight spots around the world. These and other adventures, more than a few life-threatening, are detailed in this valedictorian volume. 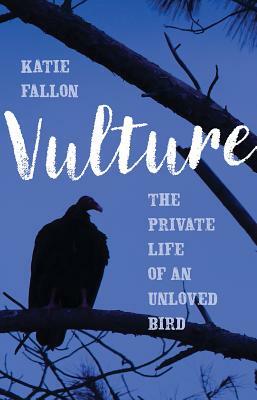 At the other end of the age scale, Katie Fallon pitches woo for Vulture: The Private Life of an Unloved Bird. The Turkey Vulture (Cathartes aura) is her case study, but she also ventures further afield. Vultures, for instance, have been decimated in India by a veterinary drug given to cattle; no vultures meant the resulting untended corpses of cattle sparked an explosion in wild dogs and from them a rabies epidemic. Everything connects. In Africa, species are under threat from numerous forces, including poachers who kill them off because a gathering of vultures over illegal kills alerts rangers. We may not want to think about it, but the corpses of animals, especially the terrible toll of road kills, presents a problem. But vultures can pretty much eat anything, including anthrax, rabies, and botulism. That they puke before take-off, to lighten the load, only makes them more interesting, right? While discussing the California Condor, still imperiled by lead pollution, Fallon tells an interesting anecdote. A ranger at the Grand Canyon tries to explain to an angry white man (what, again?) that lead ammunition has a distinctive isotopic signature. It’s not lead paint or any other lead delivery system that is poisoning scavengers: it’s fragments of lead from ammunition. The hunter is enraged (cue angry white man again) with science disrupting his ignorance and stomps off, convinced people just want to stop hunting. In fact, Fallow argues that hunters are key to condor survival because the gut piles they leave behind could be excellent sources of food, if only they weren’t poisoned by lead shot. But the hunters, and the industry, and its vicious lobby, refuse to continence changing to copper or steel ammo. On Wednesday, a white guy tried to shoot up a black church in Kentucky but couldn’t get in. Instead he executed two black grandparents in a parking lot, telling (white) onlookers not to worry, he wouldn’t shoot at white people. On Friday, a militant Trump supporter with a long history of threatening violence and bomb threats was arrested for sending mail bombs to various prominent centrists of the Democratic Party and media. Yesterday, another racist psychopath murdered eleven people in a synagogue in Pittsburgh. His motivation: two foundational beliefs and vote-baits of the Right: anti-semitism and nativism. You can find similar paranoid-conspiracy fascist garbage all over right-wing media, corporate social media, and interviews with the likes of loathsome Congressman Steve King of Iowa: Jews like George Soros are “diluting” or “replacing” white America with non-white immigrants. You can see it in Trump’s fantasy of an Islamist-filled caravan of refugees in Mexico, which plays very well with GOP base. Republicans’ and Trumps’ lies about non-whites, women, the media, Democrats, immigrants, et alia aren’t just a WWE-like entertainment spectacle: they have consequences — murderous ones. God-damn these monsters. There are bat-preservation societies in Missouri, and many caves now have gates over their entrances, locked some or all of the year, to give bats free passage and humans none. Still, a long way to go, in so many ways. I have been a lover of bats for a long time and had a membership to BCI for years – until my budget shrank. My favorites are the flying foxes. I follow bat rehabbers in Australia on FB and they are amazing. On another note – totally agree that Trump’s administration needs to stop him as we are heading for dire consequences and the blood is on their hands for this.